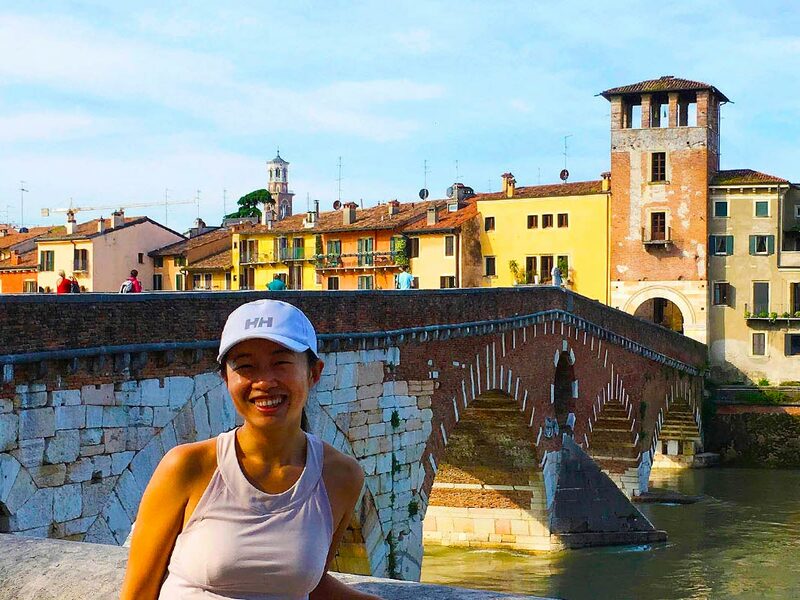 Run from the city centre up to the hills surrounding Verona and get a wonderful view from the terraces on the whole city and its icons. See Verona by run from its best point of view: the wonderful terraces surrounding it. The Terraces tour will lead you to discover Verona from a different perspective, to appreciate the nice natural landscape of the hills surrounding the city with their fortresses spread all over to defend the city. Meet your guide at Castelvecchio, the 14th century fortress, start to run along the city centre passing by the Church of Sant’Eufemia, cross the nice Piazza dei Signori and go outside the city walls heading to the surrounding hills. Reach Castel San Pietro and take a breath, listening to your guide stories and hints about Verona; continue to run a bit higher and stop at Madonna di Lourdes’ sanctuary, then go down to the city centre through a wonderful slope. Finally, before running back to Castelvecchio, run by the Arena and feel like the gladiators after completed this great tour. Stops: the running tour consider stops along the course to rest and to listen about Verona from your guide. Set the total number of stops with your guide during the run. The running tours are led exclusively in external areas and it is not planned any entrance/access to museums, churches, galleries and similar. Cancellation policy: cancellations made 72 hours prior to the scheduled departure time have a 100% refund of the sum paid. Details available on cancellation policy page. Meeting point: hotel/apartment pick-up. If your accommodation is not located in central Verona another convenient meeting point will be set.